I often dream wistfully of becoming a bird and joining a flock in the sky to never return. 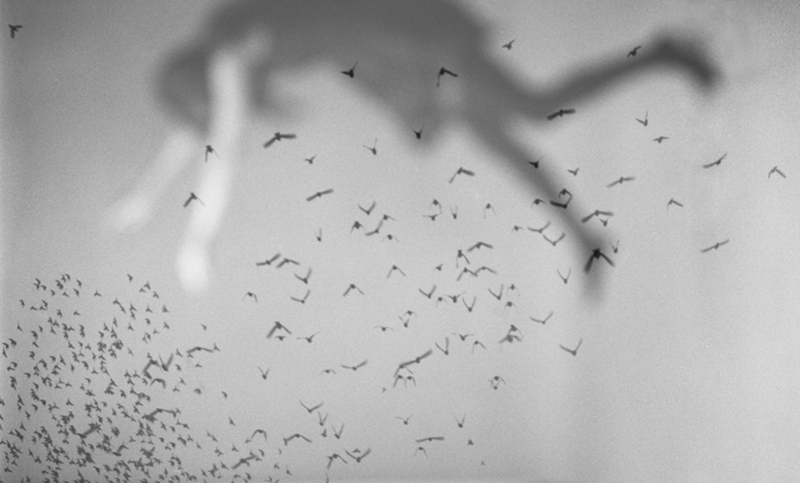 Failed Attempt to Fly is a failed series of photographs of those dreams. The images forced me to realize, with difficulty, that it is physically impossible to become a bird and join their flock to fly away. Instead of becoming enveloped with birds lifting me up, the photographs transformed into a projection of myself falling into a projection of my dreams.